Korn guitarist James "Munky" Shaffer recently stocked up on actual corn at the grocery store, but YouTuber Davie504 has taken things to an even more literal level. 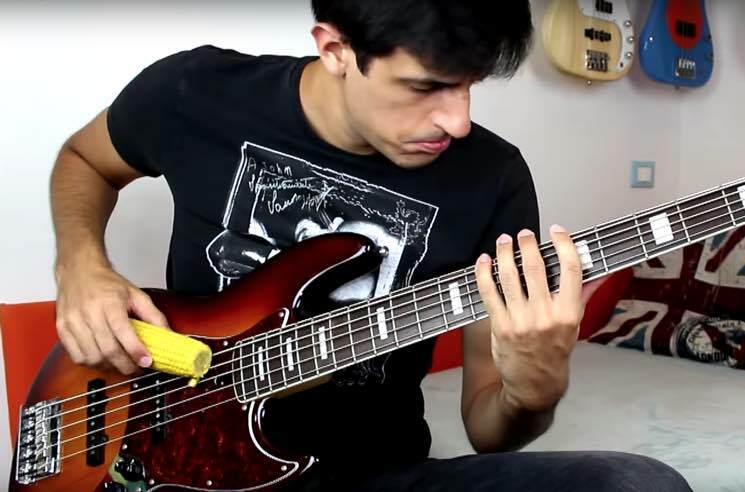 In a recent video, the musical genius played a medley of Korn — using corn. The clip sees him replacing guitar picks with popcorn, while bass and percussion is provided with help of a couple of cobs. Additional sound is provided by the sound of kernels being popped on the stove and popped corn being crushed in his hand. He runs through cuts like "Falling Away from Me," "Freak on a Leash," "Coming Undone" and "Here to Stay" — all aided by corn products. Check out the wildly entertaining video below. It's pretty a-maize-ing.